Every Pashley bicycle is unique product of their Stratford-upon-Avon workshop. Each one hand-built to order by a team of experienced craftsmen, who are committed to continuing the tradition of high-grade, skilled British manufacture. There is a Pashley bicycle to meet every lifestyle and need. We started RONDO because we wanted to create bikes for real cyclists, like us, and most probably like you. For people who have no time to waste on talking, and want to get straight to the point. Brilliantly well designed and exceptionally well made, Haibike makes an awesome combination of power-train technology and e-bike expertise. Massive Savings on all 2017 Haibikes In our end of Season Sale!! Perfect for winter riding. The new Gravel Bike made by Bergamont called the Grandurance 6.0 with mudguard islets and a really cool colour to match. Scott Electric Bikes New Range arriving Now! Identity Bikes are our newest member to the dirt jump family with their Dr Jekyll range in many different models. Haibike for the new season have made their most powerful motor do date called the Flyon. Here is a selection of the electric bikes which come with the new Flyon Motor and available to Pre- order Now! The beautifully designed Electric cycles from Riese und Muller. These E-Bikes are B-Spoke and come in many different combinations. They now even have Dual Batteries which will enable you to go much further. Please give the store a ring and we can spec your dream Bike. Cube Electric Bikes - 2019 Models in Store Now! One of the world's lightest 100m Carbon Full suspension bikes made. The 2019 Scott Spark RC SL 2019. Adding plus sized wheels to what is already one of the most capable rigs on the market ups the level of traction, comfort, and most importantly fun hogging. Rocks, roots and boosts beware, these bikes are ready to rumble. FLYONsets new standards in the high-end sector. Behindthe first Haibike-own ePerformance system standsGerman engineering power combined with intelligenttechnology and many years of know-how.All components have been developed by Haibikeand fit in a system that can be operated easily andintuitively. Our most technically-advanced road bike to date. Concealed cables, flat-mount disc brakes and electronic groupset option keep this aero-optimised racer at the vanguard of race bike design, and you at the front of the pack. Scott bikes for 2019 arriving very soon. Scott have redesigned their long travel bikes and have put a new rear shock on their ever popular Scott Genius. Their E-Bike range has just got better with their new comfort Full suspension bike the 2019 Scott Strike. Speed Pedelecs. 45km/h (High Speed) Electric bike registration Process. Fantic electric bikes are a mix of historic Italian factory and German technology, you can find the best possible components and solution for all your necessity. With an award winning frame design, and tech to match. These Fantic E-Bikes are definitely worth a look. German made electric bikes, from £1,099 The Wisper ebike brand is synonymous with excellence in design, high quality build and componentry. Ahhhh…the famous Moustache handlebar…where it all started! Invented by our ancestors, we’ve updated it and given it a new, unique design. This design has an essential function: it offers a natural riding position for improved comfort. The largest range of electric bikes at amazing prices. We have the bike for you and we promise the very best customer service and the very best price. Save hundreds on great bikes in our SALE! Take advantage of great offers, as well as the best prices and service. E-bikes, mountain bikes, road and trekking bikes from Scott, Cube, Haibike and KTM. All available at the lowest price you'll find. Treat yourself! Cube continue their pedigree of a long line of astounding quality carbon road bikes for 2018. What makes a good full suspension bike? Damian Harris Cycles have been advising demanding trail and cross country racers for decades. Whether you're buying on a budget or an experienced cyclist demanding a particular spec, our unparalleled expertise across the range means you're in safe hands. Scott produce the lightest Carbon road frame in production. The models include the Solace(comfort), Addict (Light weight road race bike) and the Foil (Stiff road race bike). Cube's 2018 hard-tail mountain bike range has now arrived and are available for next day delivery! The Stereo 120 27.5 and 29 inch wheel options ensure that every rider can find their perfect fit. What`s New Cube Cyclocross 2018! Scott Foil for 2018 introduces Disk Brakes. Road bikes from Cube are uncompromising, high performance, race-ready machines. Lightweight carbon frames, Shimano brakes and Schwalbe Kevlar tyres deliver stunning performance. Scott Spark full suspension bikes for 2018 have two wheel size options. The Spark 900 series with 29er wheels and the Spark 700 with 27.5 wheels. What`s the Best Road bikes for under £1000? There are many Brands of Road bikes available. Here are a selection of the Best Road bikes for under £1000.00. A great selection of trekking bikes, includes ladies low-step and trekking hybrid electric bikes from Haibike, Dawes and Scott. Also known as racing bicycles, the lightweight stripped down frame and skinny tyres are about speed and performance along paved roads. Scott bikes are popular for a reason. Their road & full suspension bikes are exceptional value for money. Our Scott sale range combines build quality and affordability and our expert staff will help you find the perfect Scott bike. Haibike electric bikes are hugely popular. Known as some of the best reviewed e-bikes available. We have affordable high-performance and the expertise to help you find the perfect eBike. Thinking of buying an electric bike? Want to make the commute easier? Our sale e-bikes offer performance at a bargain. Cube 2018 models in store now, including the full-suspension Cube Fritzz 180 HPA SL 27.5, Cube Attain, Agree Road Bikes, the Cube Reaction Hybrid HPA Race e-bike; and other top of the range models that everyone wants. Cube are the stand-out bike brand today and we have the largest range. High performance electric bikes from Haibike, available with 0% finance. Haibike is the go-to brand for serious ebike enthusiasts and cyclists. We specialize in Haibike electric bikes, e-bike servicing and promise the best price on this incredible range. Up to 35% off Scale, Foil, Aspect and Genius mountain bikes, road bikes and electric bikes from Scott. This is our biggest ever sale. We have the cheapest prices for Scott Bikes. You'll find the best deals on discount Scott bikes, here. these are a few teaser images from the 2017 range from Scott. We’ll start with the rough road variant, the Addict Gravel. It was introduced just last year, making it very unlikely that there will be much of a change, and all spec will likely be similar to the previous models. Haibike have models called X Duro which have the Bosch CX Motor as standard. Generally these models are for the serious mountain bike rider who wishes to buy the Ultimate E- Bike Tech. BECAUSE THE SWISS DON'T BUILD CARSWith incomparable range, power, and versatility, the Stromer e-bikes are not only eco-friendly but stylish and chic as well. Discover the Stromer experience in the versatile ST1 or state-of-the-art ST2. With speeds up to 30mph.  Stromer E Bikes are Swiss made with a unique frame design which have internal cable routing. 500 Watt Battery with a speed capability of up to 30mph "Call to book a test ride today"
1947: an outstanding professional racer with 15 years of pedaling in his legs and a taste for mechanical things decides to develop the brilliant intuitions glimpsed during the course of many kilometers on all kinds of roads. His name: Cino Cinelli. The all new intense Tracer 275C Carbon for 2016 comes in four different build combinations this year and is £500 cheaper than their previous model. It was named mountain bike of the year in 2015 so it should achieve the same rating this year. Cube have produced another top performing E-bike at an amazing price of only £1799.99. Kids Bikes range from balance bikes through to 26" bikes depending on the age/height of your child. We stock multiple brands, specialising in high end, lightweight kids bikes. Early Rider Children's Bikes "The highest quality for your children's enjoyment"
Raleigh is one of the oldest bicycle companies in the world, started in 1885 in Nottingham, UK. Famous for the Chopper, a children's bike they released in the United States in 1969. Raleigh also achieved Tour de France glory in 1980, courtesy of Joop Zoetemelk. Cube for 2016 have brought their mighty Downhill mountain bike back called the Two15. With 215mm of suspension and one of the lightest aluminum frame, it's one of a kind. Here are five examples of Cheap Electric bikes to buy for someone for Christmas. The Stereo Hybrid Action Team is taking e-bike to a new level though combining a top end enduro bike with a power booster in the form of a 250 watt pedal assist motor. The bike allows you to ride further, get a workout and enjoy thrashing the trails as you would on a standard enduro bike. The Van Nicholas Ventus comes in a Frame only option or a complete Build. These bikes are made from the highest grade of Titanium and come with a lifetime warranty. Nothing looks, rides, lasts like Titanium.